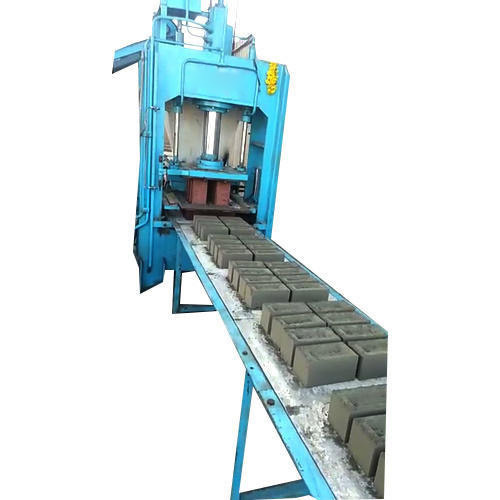 To supply the ever rising needs of our customers, we are occupied in offering a wide range of Cement Brick Making Machine. Established in the year 2007 at Pune, we ARP Equipments, are the leading Manufacturerof Hydraulic Scissor Lift, Power Pack, Brick Machine, and much more. We also provide Hydraulic Power Pack Maintenance Service, Air Compressor Repair Service, etc. Our well-organized team of professionals assists us in providing innovative techniques to save time and resolve housekeeping applications. We ensure that the offered products are manufactured using premium quality raw material in adherence to the international quality standards. Optimum quality, superior performance, long lasting service, less maintenance cost and user friendly interface makes our offered products highly popular amongst our clients.